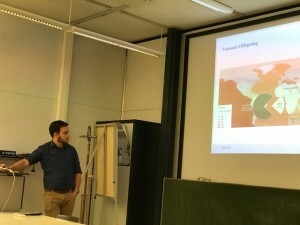 the GIScience Heidelberg colloquium series winter semester 2016/17 finished last week with even two presentations about Modeling Tsunami based risks and exposure. We were happy to hear first an overview from Andreas Schäfer vom KIT’s CEDIM about his PhD on Developing a Global Tsunami Risk Model. 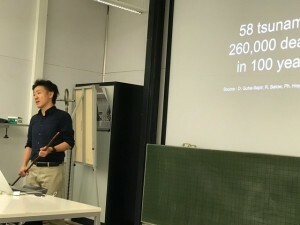 Thanks for our partners in the HeiKA CrowdFDA project (Crowdsourcing for Forensic Disaster Analysis), (funded through DFG Initiative of Excellence) for jumping in dynamically due to some logistics issues. 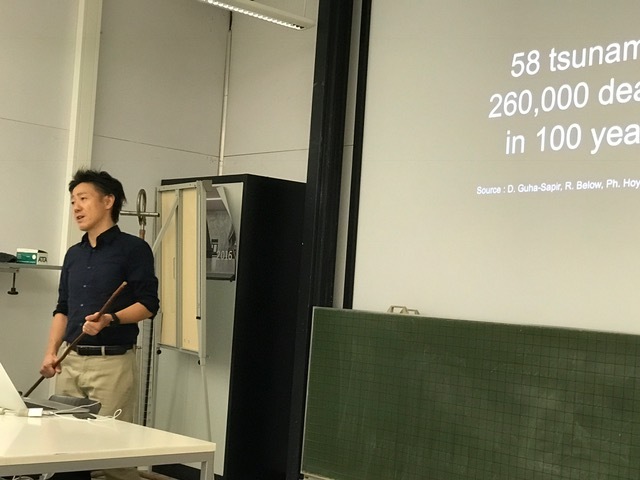 Afterwards Prof. Shunichi Koshimura (International Research Institute of Disaster Science, Tohoku University, Japan) talked about the Enhancement of Earth Observation and Modeling for Tsunami Disaster Response and Management. This was an inspiring end of the colloquium series this semester. Thanks for the discussions! We are looking forward to welcome anyone interested to the forthcoming GIScience colloquium talks in summer semester 2017. This will start already on Mon, April 3, with a talk from Asher Yair Grinberger (Jerusalem) about “The Identification of Geographic Activity Contexts: Considering Behavioral Effects“. Feel welcome and stay tuned for the next presentations.